UPDATE: A verdict was reached in the trial of Chicago Police Officer Jason Van Dyke in Laquan McDonald's fatal shooting. Read more here. Chicago Police Officer Jason Van Dyke on Friday was convicted of second-degree murder in the fatal 2014 shooting of 17-year-old Laquan McDonald. He was also found guilty of 16 counts of aggravated battery and not guilty of official misconduct. His bond was revoked moments after the verdict was read and he was taken into custody. Crowds cheered outside the courthouse, praising the verdict, and Van Dyke's attorney vowed to continue fighting. 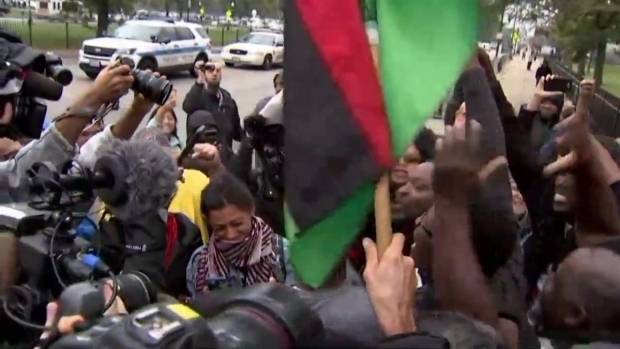 Demonstrators took to the streets, marching down the city's Michigan Avenue during rush hour. "This is about justice and in this case it was about this instance and whether or not justice would be done here," one juror said after the trial ended. Special prosecutors rested their case against Van Dyke last Thursday after calling 24 witnesses over three and a half days. Prosecutors tried to highlight inconsistencies in Van Dyke's testimony, particularly in comparison with dashcam video of the shooting released in 2015. Van Dyke was charged with first-degree murder more than a year after he shot McDonald on the city's Southwest Side. He also faces 16 counts of aggravated battery - one for each shot fired - and one count of official misconduct. He entered a plea of not guilty. Prosecutors unexpectedly announced in their closing argument that the jury could consider a lesser charge of second-degree murder in their deliberations. 3:59 p.m.: McMahon says the city of Chicago owes a debt of gratitude to the people who stepped up and told the truth about what happened the night Laquan McDonald was shot. 3:57 p.m.: Special Prosecutor Joe McMahon: "This is a gratifying verdict... This verdict holds Jason Van Dyke accountabile for his actions...But we all know this verdict doesn’t bring back Laquan McDonald." 3:32 p.m.: One juror says what really stuck out to her when Van Dyke said on the way to the scene, "Oh my god, we’re going to have to shoot him." For another, she says it was the video and watching him stepping forward. She thought he should have retreated. 3:25 p.m.: Jurors all snicker when asked about Jason Van Dyke’s testimony. "He shouldn’t have. He messed up. Trying to remember stuff that he said and wasn’t true." "Kind of felt rehearsed," one juror said. 2:06 p.m.: 2nd Degree Murder carries a 4-20 year prison sentence, but can also be a sentence of probation. Aggravated Battery carries a 6-30 year sentence in which 85 percent of it must be served. 2 p.m.: Jason Van Dyke did not show any emotion as the verdicts were read in court. 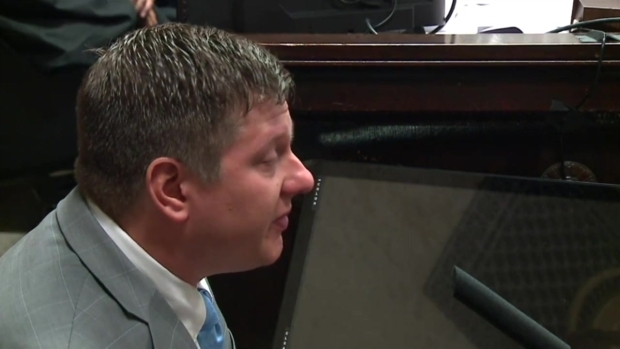 2 p.m.: The jury found Jason Van Dyke GUILTY of ALL 16 counts of aggravated battery. But NOT GUILTY of official misconduct. 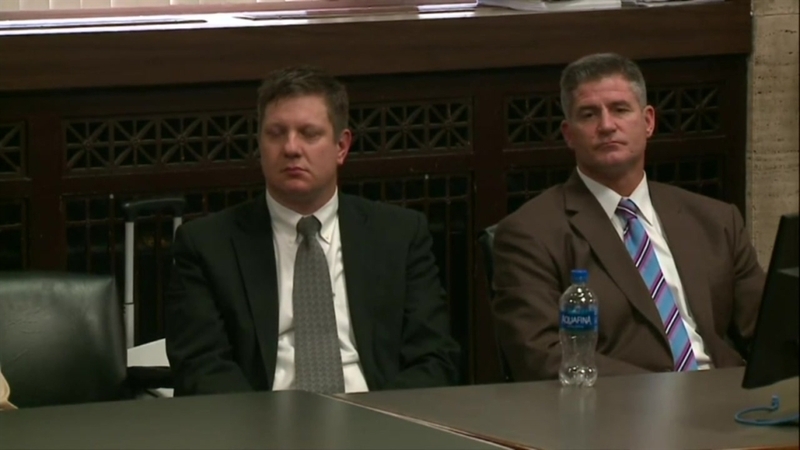 1:10 p.m.: The jury reached their verdict, in the Jason Van Dyke trial, almost exactly 24 hours after they began deliberating. 1:02 p.m.: Security is tight on the 5th floor of the courthouse. Dogs have been brought up and the media is being required to re-register to be allowed in the courtroom. Laquan McDonald’s family has arrived. Jason Van Dyke’s family is already in the courtroom. 12:45 p.m: A verdict has been reached in the Jason Van Dyke murder trial. 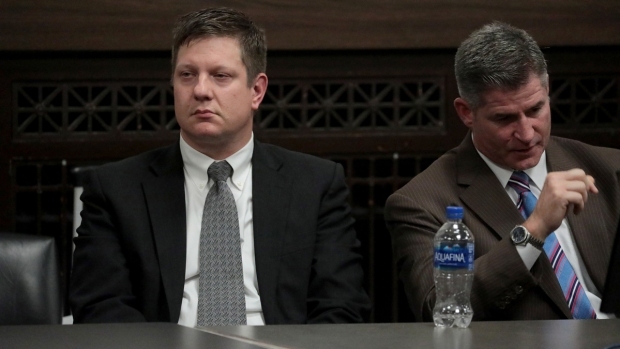 11:02 a.m.: Judge Gaughan rules that since neither pathologist that testified could determine what order the bullets enetered Laquan McDonald’s body, that the 16 aggravated battery counts should just be considered 16 shots and not in any particular order. 10:53 a.m.: The jury has a question. They are asking about the 16 aggravated battery counts and if the 16 counts correlate with the 16 shots labeled by the medical examiner, or just general 16 bullet wounds. 9:56 a.m.: Jason Van Dyke’s attorney says his two daughters were threatened by other students at their high school yesterday. He says kids were passing around pictures of the girls so they can attck them. Judge Gaughan scolded Jason for leaving the courthouse, but will not revoke his bond.